The University of New Brunswick’s chancellor, Allison McCain, was formally invested into the Order of Canada by Governor General David Johnston at a ceremony in Ottawa on Feb. 11. Dr. McCain has served as UNB’s chancellor since 2013. Born and raised in Florenceville, N.B., he earned a degree in electrical engineering from UNB in 1972 and went on to work for the New Brunswick Telephone Company before accepting a position with McCain Foods in 1975. 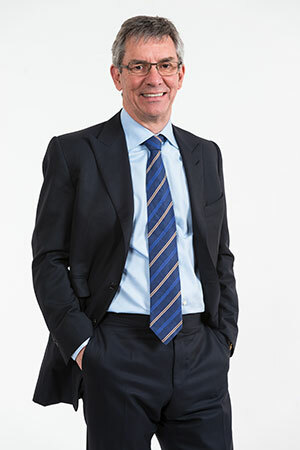 Over the ensuing 32 years, he held a number of domestic and international positions with the world leader in frozen foods, produce and transportation, eventually becoming the company’s chair in 2004. Dr. McCain is also chair of the Beaverbrook Art Gallery’s board of governors, and serves on the board of the New Brunswick Business Council. In recognition of his many accomplishments and service to his community he was awarded an honorary degree from UNB in 2007. Dr. McCain was one of 46 inductees invested at the Feb. 11 ceremony, including UNB honorary degree recipient, Pat Darrah (DSc’94) from Saint John. Dr. Darrah served his community for more than 42 years as the head of the Saint John Construction Association and an advocate for social and economic development initiatives in Saint John. He has been involved in successful efforts to establish a CBC station, the Canada Games as well as the Dalhousie medical education program on UNB’s Saint John campus. The Order of Canada was created in 1967, during Canada’s centennial year, to recognize outstanding achievement, dedication to the community and service to the nation. Since its creation, more than 6,000 people from all sectors of society have been invested into the Order.